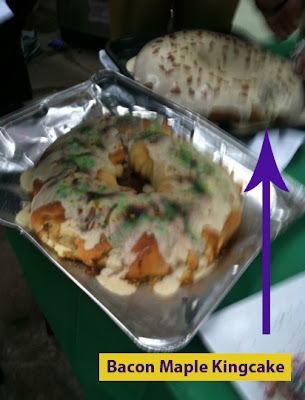 I'm a fan of kingcake season and have been to enough kingcake parties to be ready to host my own. 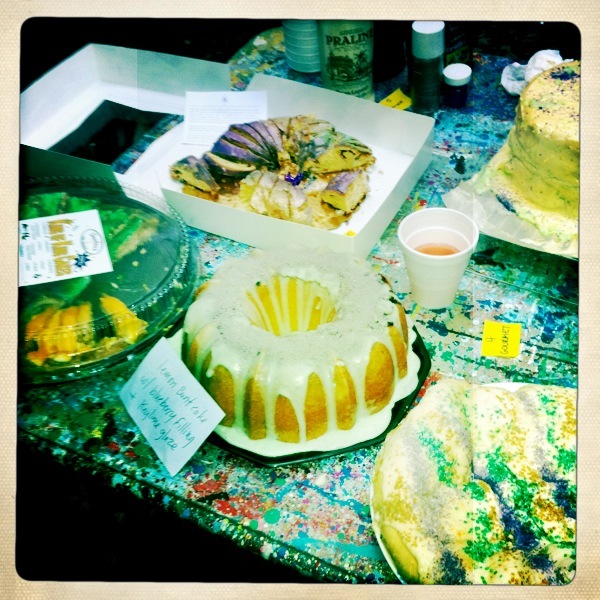 So three weeks before Mardi Gras we threw a kingcake bake-off/tasting in our courtyard. 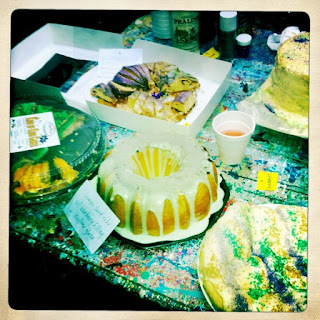 I've been so busy lately that this was the only window of opportunity that I could find to host such an event and knew that it would be a hit to host before the Krewe de Vieux parade began to role. Because of this tight schedule, I had no choice but to keep the scheduled date despite the weather forecast warning of a 50% chance of thunderstorm. Needless to say we had a downpour, but everyone had a good laugh while we moved 20 kingcakes under cover. 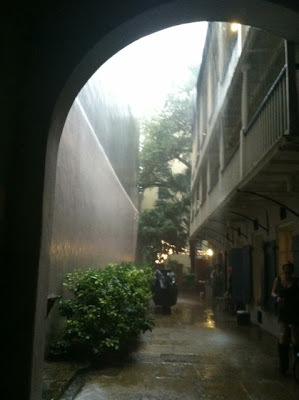 The rain only lasted about 30 minutes so we continued on to eat, drink and parade. 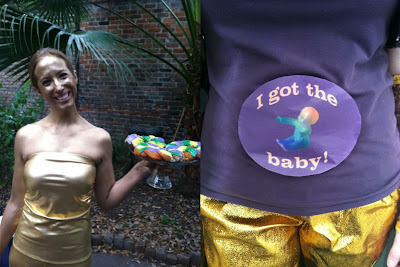 with her Bacon Maple Kingcake. It was a clear favorite! she dressed as a kingcake baby, and I have one in my belly.